Once again, your temporary (until Dilo offers me the full time position) hockey analyst, Tim “Moose” Cerimele is here to voice the Stanley cup finals for 2009. Citizens in eastern Ohio and western Pennsylvania are salivating at their chance for redemption as the Pittsburgh Penguins look to dethrone the Detroit Red Wings in a rematch. FACT: A Rematch has happened about 11 times prior in the NHL, so not too uncommon, but still exciting. A more mature and experiences Penguins swept the Carolina Hurricanes (2006 Champions) 4-0 in the series as the 2 leading scorers in playoffs, Crosby and Malkin look to back that up. Hey look at it this way, Crosby actually grew a quarter of a beard this year, maybe it’s a sign. Pens will be fired up for this one but they will be tested by the Wing’s defense, but far the toughest they will face. Will these 2 “rise up” Lebron style or will Detroit contain their stars. The always experienced Wings had no trouble with Chicago as they cruised to a 4-1 series win and into their second consecutive Stanley cup appearance. They are a team who knows what it takes each year, every game, and they never take it for granted. With 3-4 key players injured, including captain and top defenseman Niklas Lidstrom, their depth surely showed in the last 2 games of the Chicago series. 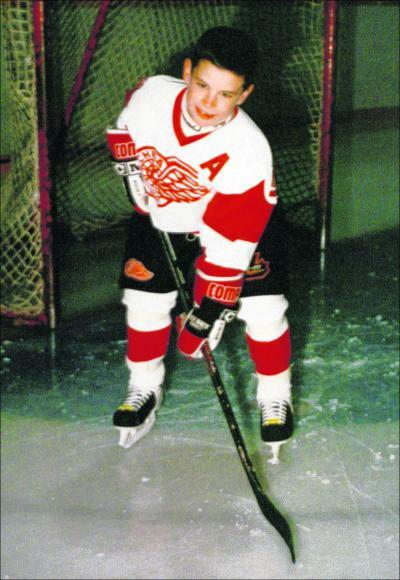 -Watch for Detroit’s Holmstrom to take a beating and cause havoc in front of the Pitt’s net all series. -If Coach Babcock (Wings) can contain Malkin and Crosby, they are still some of the best passers in the league. -The Goalies: Osgood and Fleury , both on fire right now, going to make some game-changing saves. -Hossa: He’s been on a high last couple of games, how will he play against his former team, at home and on the road, after Pen’s fan view his career move to Detroit as utter betrayal. Look for the crowd to “BOOO” every time he touches the puck in Pittsburgh. You are currently browsing the archives for the Redwings category.